What are good toys to buy? We are excited to share the news with all of our long time customers, that we are moving! After many years in the core of a busy city, we have decided it is time for a change. A positive change for our flock, our dogs and us. Our moving deadline is December 30, 2015, or sooner. If you are familiar with the Lower Mainland, our different options are North Vancouver, Deep Cove, Lynn Valley, Port Moody or Coquitlam. 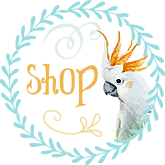 We will make sure Things for Wings will continue to be bird free and choose a home with a separate building, for our awesome online Boutique and wood shop. Once we find the perfect place we will be sure to notify you of our temporary closure.